hanky panky | Make Time For Sports. 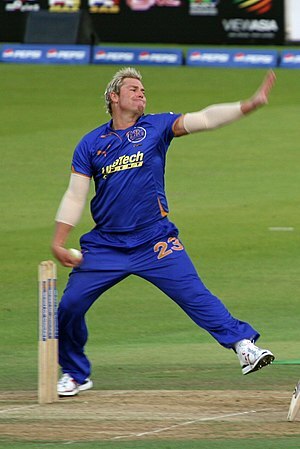 That Shane Warne was fined for “a serious breach of his IPL playing contract” is today’s old news. MakeTimeForSports managed to get the inside story behind the $50,000 fine imposed on the temperamental spinner. Sources inform us that the contract states that Shane Warne would render services to Rajasthan Royals in his capacity as a cricketer i.e. bowling, batting and fielding.